The Power of Brand Management: How will you be remembered? Don't miss out! 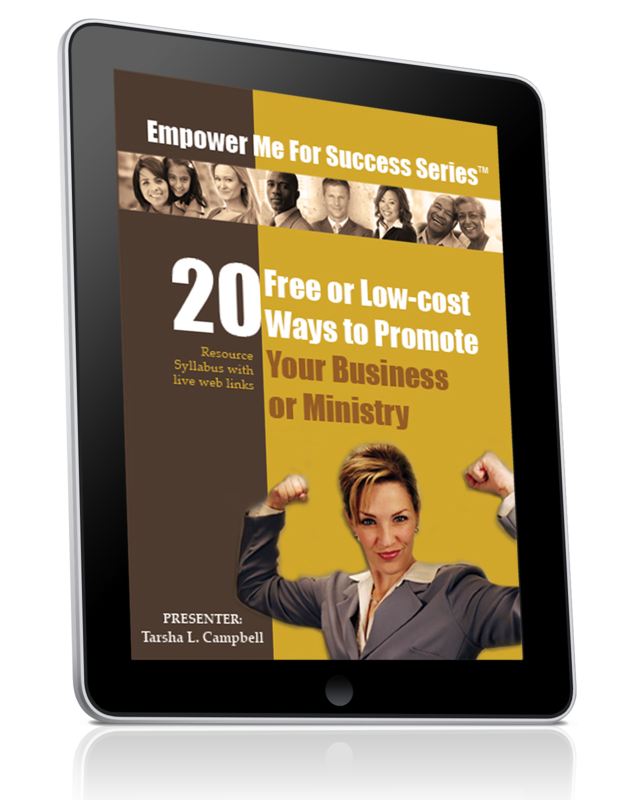 Get your FREE Next Step Resource: 20 Free and Low-cost Ways to Promote Your Business or Ministry. Privacy Guarantee: I will never share your e-mail address with anyone. As an award-winning spiritual and business leader, I help emerging leaders launch successful businesses and organizations by helping them clarify their next move and take their next steps. Whether you're just starting out, or you're a seasoned leader entering new territory, as your next step coach and consultant, I help you get unstuck and provide empowering solutions to move you and your vision forward with profitable results. As an author and international speaker, I inspire and empower leaders to realize their potential and step into their purpose and destiny. As a graphic designer, art director, and publisher, I help leaders create successful brands and take their messages to the marketplace and beyond.